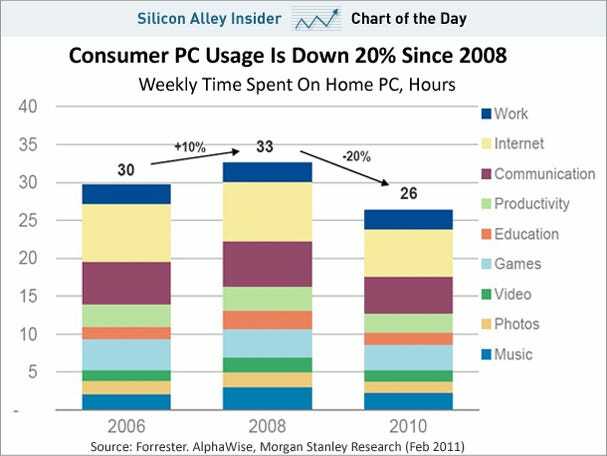 CHART OF THE DAY: Is The Smartphone Killing The PC? What’s changed in the last few years? The growth of the smartphones and tablets, says Morgan Stanley. 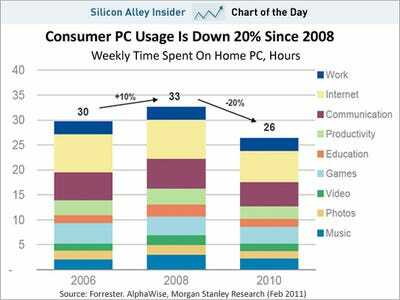 As people use smartphones for more simple computing tasks like web surfing, they use traditional PCs less.